Growing up I always remember mum sewing and making clothes for us kids as well as my dolls. I myself learnt to sew and even made my own formal dress when I was in year 10. Last year at school they taught the kids some basic sewing skills. 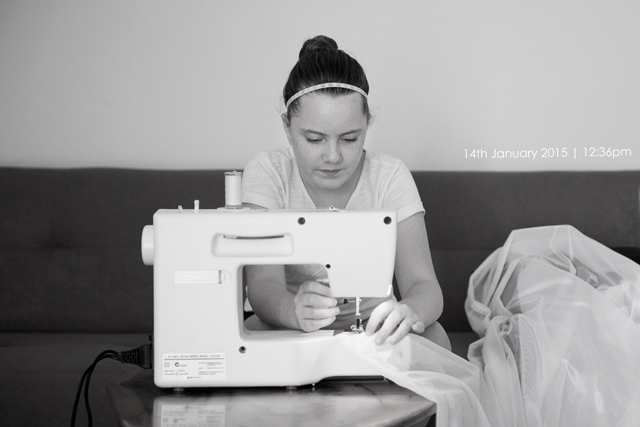 This was nicely timed with me deciding we needed our own sewing machine. The first thing Elizabeth made was her own pencil case and she did a pretty good job as well. The curtain over the door in the studio was a bit long and dragged on the floor, so today Elizabeth decided that we should fix the curtain.